A national designation received by the University of North Carolina at Chapel Hill shows the strong campus-to-community connection that’s made possible through faculty and student innovations that serve the public. On Nov. 11, the Association of Public Land Grant Universities (APLU) named UNC-Chapel Hill an Innovation and Economic Prosperity (IEP) University. APLU created the IEP designation to help universities codify, elevate and advance their campus enterprise supporting economic development. With this designation, UNC-Chapel Hill joins more than 60 other top institutions that have made an ongoing commitment to economic and community engagement. The IEP designation concludes a rigorous two-year process of institutional self-study and collaboration with campus stakeholders to identify the strengths of the university’s economic engagement initiatives and opportunities for growth. 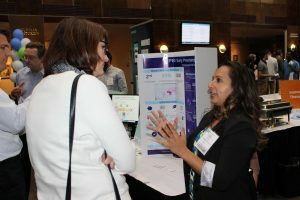 Carolina’s IEP application highlighted its robust method for measuring and showing the results of its economic engagement through data captured in the Innovate Carolina Startups Database and Impact Dashboard. 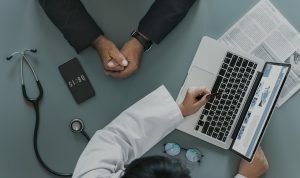 The database is a proprietary system developed by the University to collect, manage and assess the economic and social impact of 575 commercial and social startups affiliated UNC and tracked since 1958. ● A 21 percent increase in the total number of ventures (575 compared to 475) since June 2017, with 79 percent of the total ventures launched (454 of 575) still active. ● 83 percent of active ventures (376 of 454) are headquartered in 24 North Carolina counties, a 12 percent increase in the number of active UNC ventures based in the state compared to 336 of such startups at this time in 2017. ● 94 percent of the annual revenue ($10.5 billion of the $11.2 billion) earned by the ventures comes from those headquartered in North Carolina. ● 71,986 people are employed by these UNC ventures, with 8,902 of these employees located in North Carolina. The University’s IEP award also shows how Carolina embeds economic engagement a core function across the institution. For example, it cites the Blueprint for Next, which is the strategic framework designed to guide the University for the next decade. The framework consists of two pillars: 1. Of the Public, For the Public; 2. Innovation Made Fundamental. These two pillars underscore how Carolina to develops its talent and reaffirm its commitment to the citizens of North Carolina. 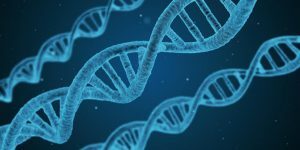 Further, it points to UNC-Chapel Hill’s Innovation Roadmap, which complements the Blueprint for Next framework by defining a strategy for increasing the number and speed of innovations that move from UNC-Chapel Hill into the world. For Carolina, the IEP designation goes beyond recognition. It’s a tangible opportunity to build on its efforts to infuse innovation into communities where it can make a social and economic impact. 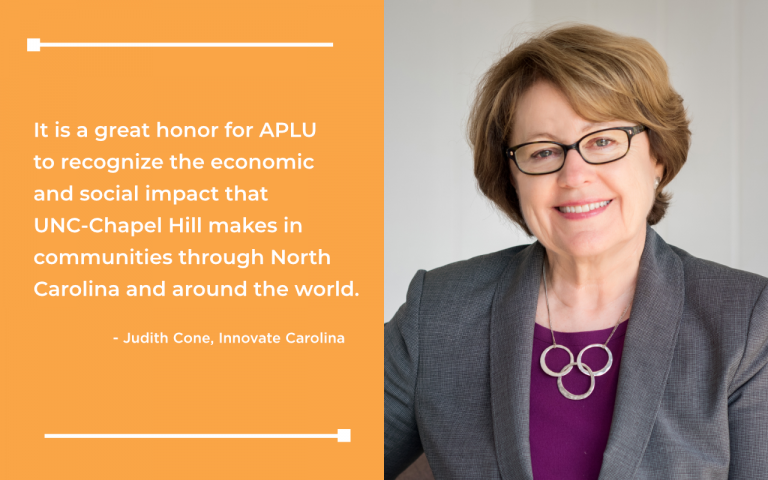 Leaders at UNC-Chapel Hill plan to use APLU’s IEP framework to help maximize the University’s capacity for economic engagement. Specific focus will be paid to coordinated programs, educational opportunities, shared resources and key partnerships. 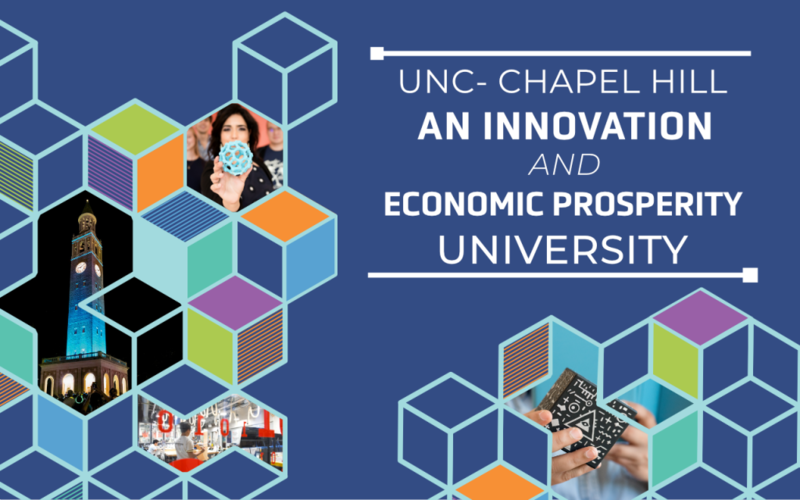 By working closely with other leading institutions that invest in their own innovation capacity, UNC-Chapel Hill will be able to monitor what’s working nationally and accelerate its own growth in innovation and entrepreneurship. That means sharing its own best practices, while learning from peer universities that have top-tier records for moving ideas and inventions to market, creating support systems for faculty and student innovators, and building strong entrepreneurship education programs. In Good Company. For the Good of the Community. The University’s involvement places it in outstanding company among peers. Of the 60 schools to receive the IEP designation, half are public, non-land-grant universities. Carolina is one of only eight Association of American Universities (AAU) institutions to receive the designation. 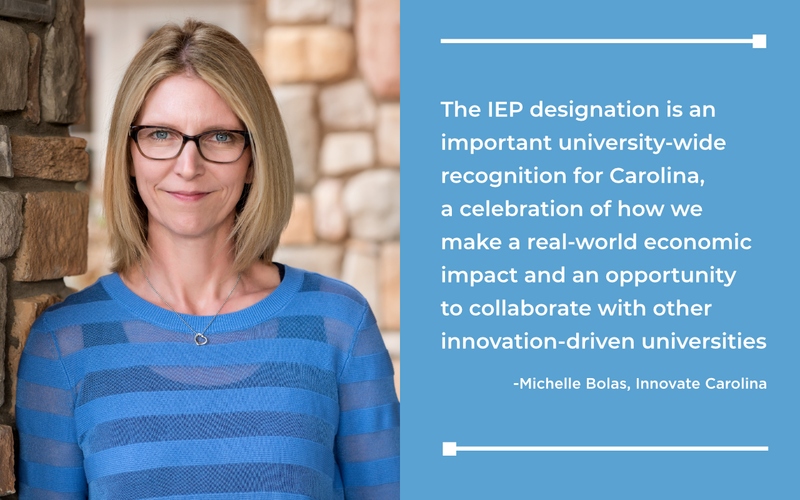 It’s particularly significant when non-land-grant universities like UNC-Chapel Hill achieve the IEP designation, notes Bolas. Their involvement demonstrates that these institutions, which typically don’t have the infrastructure of local extension offices like their land-grant peers, are also heavily engaged in developing solutions to economic and social problems and connecting directly with their communities. The IEP designation follows a recent announcement that that U.S. News and World Report ranked UNC-Chapel Hill fourth in its national listing of undergraduate entrepreneurship education programs. It’s the highest such ranking for entrepreneurship at UNC-Chapel Hill and further evidence that the University is heavily focused on curricular and co-curricular initiatives that teach its students an entrepreneurial mindset and skillset. Such skills prepare students to contribute immediately and significantly to modern economy.